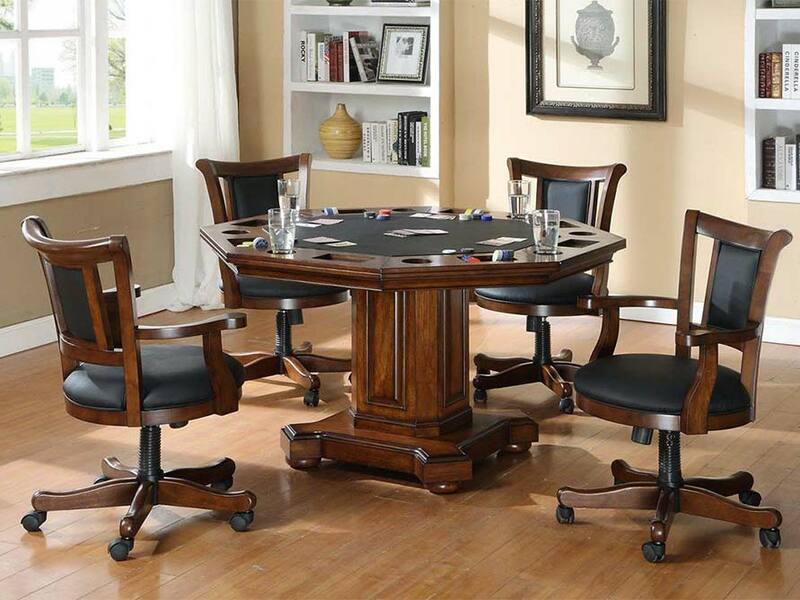 Get the most out of your game room space with the Imperial 2-In-1 Game Table with 4 Chair Set. 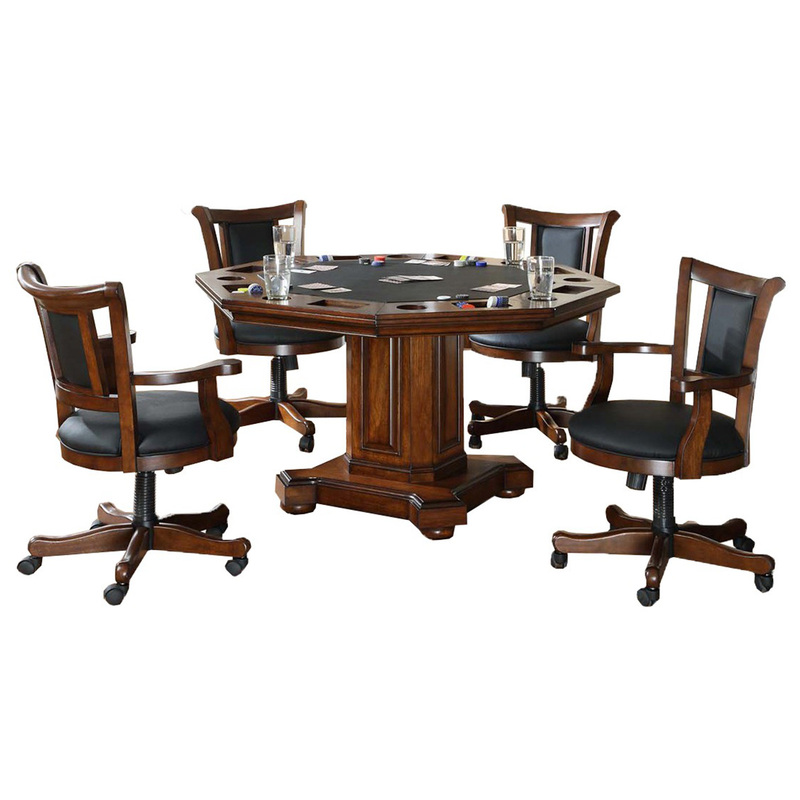 The table and chairs are made of solid birch woods and finished in a beautiful distressed walnut. Get the most out of your game room space with the Imperial 2-In-1 Game Table with 4 Chair Set. The table and chairs are made of solid birch woods and finished in a beautiful distressed walnut. 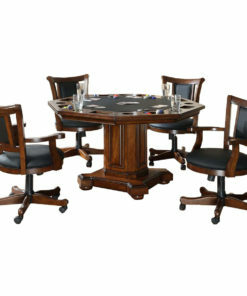 The octagonal table features a 52-inch top that instantly converts from a dining table to an 8-position poker table. 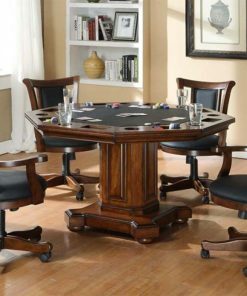 The poker top features a felt playing surface, chip holders and cork cup holders. Each arm chair has a gas tilt and swivel feature. The 5-leg design provides stability and each leg has a double swivel roller that makes movement easy. Table measures 52″ x 52″ x 30″.